Skye bank is one of Africa’s largest financial institution which has its headquarters in Nigeria. The bank has subsidiaries across Africa including Sierra-Leone and the Gambia. Being one of the largest banks in Africa, it came up with the Skye bank mobile app. The mobile app lets you carry out banking business at your convenience. With the bank’s mobile app, you don’t have to walk into the banking hall and stand in ques. All from the comfort of your home and office, you have performed any banking transaction of your choice. The Skye bank mobile app allows you to also carry out your banking transaction while you are on the go. You might be on your way to an urgent meeting and don’t have the time to carry out an urgent banking business. With Skye bank mobile app that problem has been solved. It allows you to send money to your loved ones at any time and from anywhere. There are so many reasons why you should have your mobile app installed on your phone. It solves so many problems which may arise when you want to perform banking transactions. Here is a list of things you can do with Skye bank mobile app. Check the balance of your account. Perform banking transactions with Skye bank and other banks. Pay for utilities and buy airtime. These are just a few things you can do with the mobile bank app. No matter the mobile network you use, you can have access to your mobile bank app. To sign up for the bank mobile app, you must be banking with Skye bank. What this means is that you must already have an account with Skye bank to be able to use to the app properly. If you already have an account with Skye bank, then you will have no problem signing up to the mobile bank app. To sign up, you will need two very important things. The first is an account with Skye bank. And the second thing you will need a GSM number. This number must be linked to the account which you have with Skye bank. Without these 2 things, then you will be unable to sign up successfully. Once you already have the need info to sign up, be rest assured that you will not have challenges sign in up. If you don’t know what the requirements are, you can check the paragraph above for the info. Now to get signed up, there are 2 steps involved. They are; 1. Download the app and 2. Activating the app. The first step which is downloading he app can be done with two easy steps. The first of these steps is download the app from the app store of your mobile device. 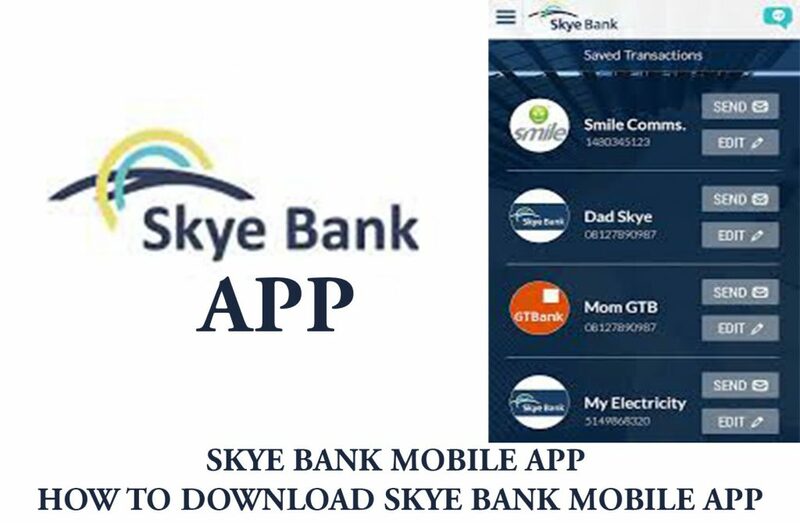 The Skye bank mobile app is available on both android and iOS devices. So, to get the app on your android device, visit google play store and search for it. Similarly, to get the app on your iOS device, visit apple app store and search for it. You can also get the app by scanning the QR code for the app. To do this visit skyebankmobile.com and scroll to the bottom of the page. You will see a QR code which you will have to scan. This will take you to another page where you can download the Skye bank mobile app. The account name of the account you hold with Skye bank. Once you have entered these completely, click on activate. An SMS will be sent to the phone number you used to activate. This SMS will contain your activation code. Enter the activation code and you Skye bank mobile app is ready for use.